Stop immediately, but do not block traffic. Get help for the injured. Have somebody call police (repeat after 5 minutes). Obtain names, phone numbers, addresses of drivers, witnesses and injured. Draw a sketch showing location of vehicles and other details. 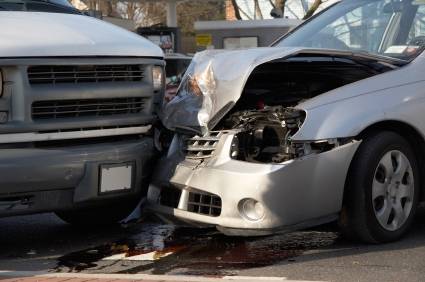 Don't accept claim settlement at the scene of the accident. Do not admit fault for the accident. Stay calm, polite and consistent while stating your version of the accident. Contact your insurance carrier as soon as possible.